Following a recent classification of the VATER Association provided by the CURE-Net consortium (submitted), we investigate medical predictors of psychological stress and anxieties in this particular condition. We developed a new set of questionnaires measuring psychological adjustment and quality of life outcome in conditions associated with anorectal and/or urogenital malformation (one self- report form to be completed by patients 7–17 years of age, two parent report forms with one relating to patients with an age range of 0–6 years, resp. 7–17 years of age). The questionnaire “Malformation-related Stress and Anxieties” comprises 26 items belonging to five subscales (I. Functional and cosmetic impairment, II. Intimacy and relationship, III. Social inclusion, IV. Psychological functioning, V. Family functioning). Every item can be responded to with respect to both actual, present problems already experienced as well as to future anxieties anticipating future development and adjustment (a perspective which especially applies in younger patients). Internal consistencies of the scales are good, resp. very good (Cronbach’s α = .85 concerning present sources of anxiety scale, resp., .94 concerning future anxieties scale). The items are supplied with a Likert-type 5-point scale. We administered the questionnaire in N = 17 children and adolescents suffering from VATER via parental (proxy) report. As most medical risk factors affected nearly the entire sample, statistical analysis excluded investigation of differential impact on psychological stress experience and anxieties in subjects exposed versus not exposed. Special attention, therefore, was paid to those medical parameters with the best statistical power to differentiate between individuals of high versus low psychological outcome. Medical predictors differentiating between individuals with high versus low adjustment comprise post-operative infections of the urinary tract (t = −3.78, p = .09), wound infections (t = −3.04, p < .01), stoma complications (t = −2.11, p = .08) (e.g., prolapsed (t = −2.37, p = .05), other treatment complications (t = −2.59, p < .05) and presence of a megacolon (t = −2.44, p = .06). From the perspective of stress psychology, the findings may indicate that particular medical characteristics of a malformation may operate via two different pathways: (a) pathway of severity of a particular medical risk factor: the presence of a megacolon, for example, may restrict quality of life and successful adjustment via multiple and long term functional impairments associated and (b) pathway of subjective predictability and controllability of treatment course. In accordance with theoretical models from stress psychology, the psychological impact of complicating factors such as wound-healing infections is not operating via severity of impairment, but via implicit messages they convey, indicating a low predictability and controllability of course of disease and treatment. As a result, they may increase intensity of worry and anxieties upon further difficulties still to come during future development. As a conclusion, psychological counseling may not only address concrete functional impairments and stressors, but also basic feelings of insecurity, controllability and self-efficacy. 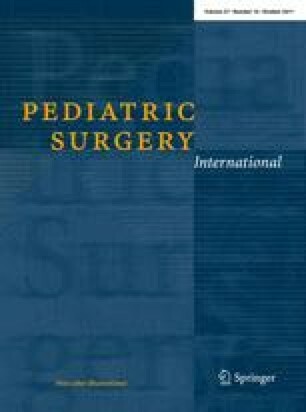 The authors are members of the ‘‘Network for Systematic Investigation of the Molecular Causes, Clinical Implications and Psychosocial Outcome of Congenital Uro-Rectal Malformations (CURE-Net)’’ supported by a research grant (01GM08107) from the German Federal Ministry of Education and Research (Bundesministerium für Bildung und Forschung, BMBF): http://www.cure-net.de.